Asphalt sealcoating is a method that is used for the sealing of cracks in pavement. Asphalt sealcoating will create a barrier between pavement and other natural elements that will occur on the surface. The end result of asphalt sealcoating in Austin will be a smooth black finish that is non-slip. Asphalt sealcoating is a substance that is made of acrylics and bituminous products and is applied to the surface with a spray, squeegee or brush. Not only does asphalt sealcoating look nice to the eye but it will also help with the life span for the asphalt. By applying asphalt sealcoating to the surface and creating that barrier it will double the protection for the pavement, while saving money in the long run. An asphalt sealcoating process requires a minimum of two coats, temperatures must be above 50 degrees and the bituminous product must receive 24 hours of dry time. Asphalt sealcoating in Austin Tx is one of the fastest growing ways to keep pavements looking beautiful and protection of weather damage. Asphalt sealcoating as gained a wide following. It seems as though everyone is doing this! And why wouldn’t they? Asphalt sealcoating is proven to save your driveway and parking lots for much less. Not only is the cost so affordable but it seals and protects! If cracks are an issue, no worries, our team is specialized in this as well. Give us a call and let the professionals seal your pavement back to new! The use of sealcoating asphalt can be the way to go for your business parking lot or your home driveway. As you learn about the many benefits it offers, you will be encouraged to look into it further. This can be a cost efficient and practical solution to your needs! Barrier – The sealcoating will offer a barrier between that surface and the elements. It is going to reduce the need for additional maintenance or repairs. It will prevent cracking, even when there are vehicles on that surface on a regular basis. Seal – At the same time, the sealcoating will offer a way for the small cracks to be kept under control. Without it, they can become large, ugly cracks. This seal is going to prevent water from getting into the materials too. It is going to create an invisible but water proof layer to keep out moisture and water. Hides Blemishes – The sealcoating is going to hide the small cracks too so they aren’t easy to see. The surface will look smooth as the patched areas or rougher spots won’t be easy to notice. Clean – Dirt and debris can leave your parking lot or driveway looking dingy. However, the sealcoating is going to allow the dirt and debris to be washed away when it rains. As a result, the surface looks well-kept and clean without any additional effort on your end. The smooth surface makes it possible for you to easily sweep away anything that doesn’t get washed away. UV Damage Protection – The UV rays from the sun beating down on the asphalt all day long can take a toll on it. The sealcoating is going to help reduce the damages the sun can cause. If there are any spills such as gas or oil on the surface, they aren’t going to stain either. They won’t be able to penetrate into the asphalt. It will also offer protection when you have cycles of heat and freezing cold. They can result in cracks developing but the sealcoating can keep it at bay. Looks like New – When you apply sealcoating to asphalt, it is dark in color. This is going to make it look like you have brand new asphalt, even if it is really older. As a result, the parking lot or driveway where it is applied will look like new! For a parking lot, the black surface is going to be perfect to paint the parking lines on. Cost Efficient – The process of sealcoating for asphalt costs significantly less than extensive repairs or replacing it. 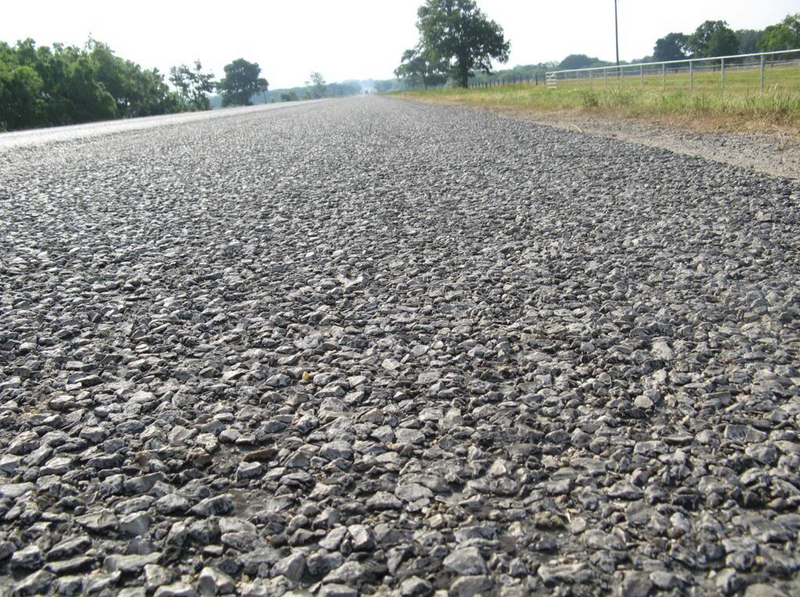 Moisture can cause asphalt to break down rapidly and cause damages. Adding the sealcoating offers additional protection and it will save you money in the long run. It prevents the top layers from cracking or eroding.